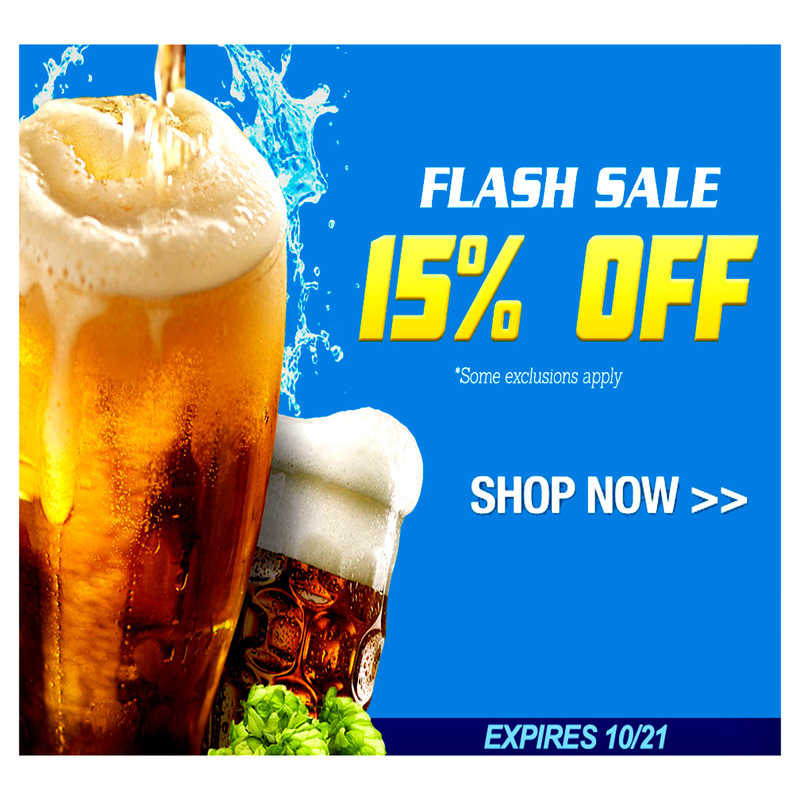 Coupon Description: Right now Homebrew Supply has a flash sale going on that will save you 15% on your homebrewing equipment and supply purchases. Just use promo code NOTBUD when you check out. Some exclusions apply, Click here for all of the details. HomebrewSupply.com is one of the best online home brewing supply providers out there. If you have not used them check them out. They offer a wide variety of great homebrewing recipe kits, great promotions, fast flat rate shipping and great and responsive customer service.